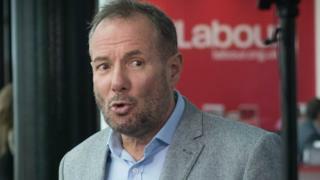 Derek Hatton has been readmitted to the Labour Party, 34 years after he was expelled by then-leader Neil Kinnock. The 71-year-old former deputy leader of Liverpool City Council was kicked out for belonging to Militant Tendency. He revealed in September that he had applied to rejoin after being inspired by Jeremy Corbyn's leadership. Mr Hatton told the BBC he had rejoined and "it's good to be back", insisting he had "stayed absolutely solid for the Labour Party" for 34 years. His readmission to the party comes as seven MPs resigned in protest at Mr Corbyn's approach to Brexit and anti-Semitism. The MPs include Liverpool Wavertree MP Luciana Berger, who said Labour had become institutionally anti-Semitic and she was "embarrassed and ashamed" to stay. Speaking to BBC Radio 4's Today programme, Mr Hatton described them as "pathetic" and said that "there is an argument that Luciana Berger went before she was pushed". However, he ruled himself out of standing as an MP in her place if there was a vacancy. In the 1980s there was a national outcry after the Militant-led city council set an illegal budget and sent out redundancy notices by taxi to thousands of council workers. Mr Hatton was expelled from the Labour Party in 1985. A Labour Party spokesman said: "We don't comment on individual membership statuses." Meanwhile Mr Corbyn said he was "disappointed" by the seven resignations and that the MPs had felt unable to continue working for the policies that "inspired millions" at the 2017 election.